Emma Marie Hunneyball…a name and a person I could easily obsess about. Thanks to her for a remarkable and entertaining guest post today. Gives me a lot to think about, hope it does you to. 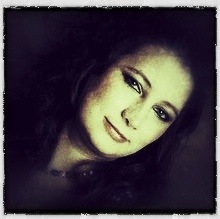 For those that haven’t come across Emma she is a talented writer, reader, reviewer and editor. As well as being a lovely person. Check out her website – Inpotentia, or look her up in twitterland – @EmmaHunneyball. I would like to thank Simon for inviting me to set up my soap-box in a corner of his blog. When he asked me to write a guest post a couple of weeks ago he told me to write however much I wanted of whatever I wanted, without being hindered by restrictions on subject, word count, or the laws of reason. He therefore has only himself to blame if this post is too long/short/boring/ridiculous/ irrelevant. It’s dashed hard to write something when you have the whole of space and time from which to choose. I wanted to pick something that would hopefully be a little different, maybe even a little interesting. I’d like to introduce you to my work by with an exploration of Obsession: one of the central themes of my Work in Progress, a collection of short stories entitled “Phantasmagoria”. For better or worse, obsession is at the heart of almost every action undertaken by my characters. Their personalities are irrational, obsessive and they love and hate to extremes. The idea of a fascination which drives one to the edge of one’s personality is intriguing. 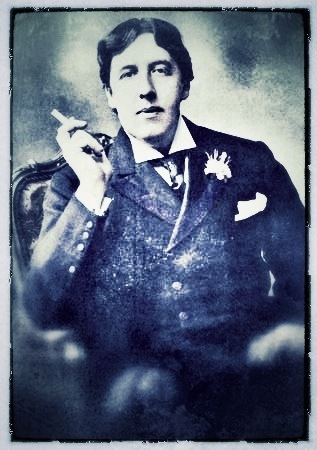 “The Picture of Dorian Gray” has had a great deal of influence over me. Most definitions of “Obsession” focus on it as a negative concept. Words like “dominate” “beset” “haunt” “disturbing” “excessive” and “unreasonable” abound. Apparently the word itself comes from the Latin root “Obsessio” meaning to blockade or lay siege. This idea of obsession as a “siege” fascinated me. It created the image of an individual as a fortress, with a battle being raged between objectivity and rationalism on the inside, and the extreme emotions of obsessive love or hate on the outside, bombarding one’s senses, battering one’s defences, seeking chinks in the battlements for ingress. This notion leads to the natural inference that if the defences are breached and you are overcome, the obsession will overwhelm and destroy you. I concluded that according to this notion obsession does not come from within; it is the result of an influence, supposedly negative, from without. It is a corrupting influence on the pureness of our existence. 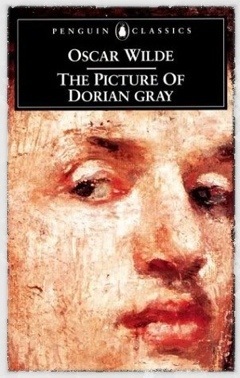 To continue the example from “Dorian Gray”: Dorian’s fixation with his youth and beauty is a result of the external influence of the painting. Basil Hallward’s fixation with Dorian is a result of Dorian coming into Hallward’s studio to sit for the painting. And here Basil hits the nail right on the head: Obsession is a heightened state leading to enhanced creativity. It is an exploration of the inner workings of the soul which exposes our deepest thoughts and allows us to recreate them as art. Obsession spreads through your being and examines every dark corner. It brings darkness into the light and pushes light into the darkness. Through obsession you can discover truth about yourself and the world around you. Or you can use your new perception to create truths about the world. Yes it can be dangerous, but growth and creativity cannot be experienced without stepping beyond the bounds of what is safe. In “The Picture of Dorian Gray” the obsessions of Basil and Dorian ultimately destroy them both. While I would posit that obsession comes from within us, I do not underestimate the part played by the external influence: our obsession leads us to discovery through a focus on something-or someone- else. The classification of obsession rests on the question of whether or not the subject is worthy . If the subject is unworthy the attachment is described as obsession. However, if the subject is lofty and worthy we call it something else entirely. We call it love. And how do we determine whether or not the subject is worthy? This requires objectivity, which obsession precludes and often the determination cannot be made until the infatuation is over. Until it is too late. So it turns out there is a fine line between love and obsession, as there is between desire and hate, religion and fanaticism. Obsession breeds art: the whole of “The Picture of Dorian Gray” deals with this subject. Relentless thinking, questioning, self-doubt and fixation on something outside of ourselves breeds the best art and reveals the truths at the core of our beings. Whether those truths ought to see the light of day only we can decide, but often at that stage it is often far too late. So the characters of “Phantasmagoria” battle with obsession. And it’s possible that some of those obsessions are mine, working their way out of my mind and onto the page. Like Basil Hallward, I occasionally wonder if too much of my soul is on view, but if my work turns out half as well as Basil’s, I would probably consider the experience to be worth it. Did I just write a whole post about Oscar Wilde, obsession and sort-of-philosophy, but still manage to make it all about me? Wait, what do they call that? Oh, yes. Self-obsession. This is a fascinating and beautifully constructed analysis of obsession and I am particularly interested in the notion that obsession breeds creativity. “The drama of pain can be very valuable to an artist,” said Pete Townsend. Given that obsession is generally accompanied by extremes of joy and pain, it would make sense that the obsessed would be creative. I was also interested in the idea of worthiness being the difference between obsession and love and who might make this decision. I was drawn to this post because in my novel Meeting Lydia, the story is told through the eyes of Marianne whose menopausal hormones cause her to experience obsession for a long-lost schoolgirl crush whom she finds again via Friends Reunited. It is perhaps for others to judge whether her inner world as she tells the story is as creative as Emma’s wonderful post would suggest! Thank you so much for reading my post, and for considering it at such depth. I agree with your comment about obsession being accompanied by “extremes of joy and pain”- a couple of my characters in “Phantasmagoria” get caught up in this cycle of joy and pain, struggling to regain equilibrium. I’ll definitely read “Meeting Lydia” I’ve spent a lot of time thinking about obsession whilst writing my own book, and your themes sound fascinating. Consider it added to my “To read” list! My reply was far shorter than your post merits. I have been provoked further into analysing my character Marianne’s obsession. She keeps a journal with view to writing a novel inspired by her internet relationship and at one point imagines her book being found in 2000 years. Although I was compelled to include this chapter for many reasons, I have also considered that some readers might struggle with it and that book clubs might pose a question to discuss its relevance. The idea that obsession promotes creativity, completely justifies its inclusion – even without all the other explanations – and for that I thank Emma and her post enormously. I also say thank you for putting Meeting Lydia on her to be read list and will be very interested to hear Emma’s views on Marianne’s obsession. Thank you once again, Linda! I’m looking forward to reading the chapter in question and delving into all of your fabulous ideas.